I’ve mentioned before that my mother spent her career working as a correctional counselor in a medium security prison, which allows me to tell the joke that I was basically raised in prison. While she did, indeed, take me to work often when I was a child, the only real effect her job had on me was that talk about crime, convicted criminals, and criminal behavior was one of the earliest contextual languages I learned when I was young. To that end, I have an instinctual affinity toward crime drama and true crime because those things were all standard answers to “how was your day” for my mom. This has played out in numerous ways, from binge watching crime documentaries to finding the My Favorite Murder podcast (SSDGM!) to becoming entranced by the Golden State Killer case that recently closed (some of the crimes took place mere streets away from where I live in Sacramento––horrifying). True crime is more of a draw for me than fictionalized efforts, though some break through. I quite enjoyed Netflix’s Mindhunter series (albeit based on historical events), for example. Most recently, however, my household has been entranced by the Irish-English crime series, The Fall, available through Netflix. 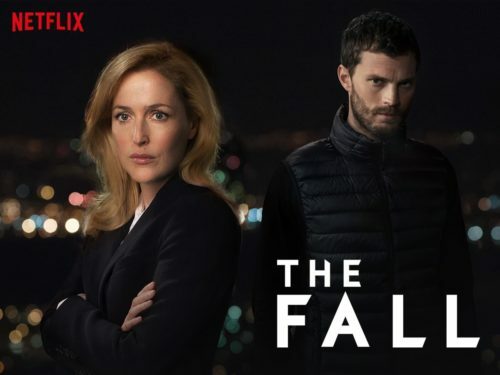 It’s a tautly written crime series that presents a story in parallel: the show follows the lead investigator (played by Gillian Anderson) who is hunting a serial killer (played by Jamie Dornan) while simultaneously following the serial killer himself. It’s not the standard structure that follows the investigator only to break away for shadowy asides into the dark and dreary machinations of the serial killer; instead, the serial killer is a character who has a story that he’s working his way through. It’s a fascinating tale over three series of about six episodes each, and it’s the closest my wife and I have come to binging a show in a very long time. Long John is in its third week of updates and we’re deep into the first major scene of the chapter where Long John is dealing with Juan John and his pursuers at Lady May’s cabin above Lundy. So far, the feedback to the chapter has been very positive, which brings a lot of relief. Please let us know your thoughts about the chapter so far! I’d love to hear your feedback. 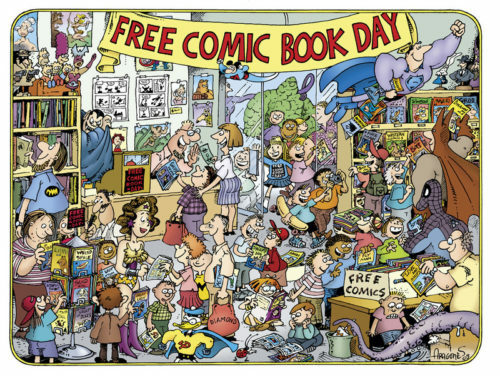 D. Bethel’s Free Comic Book Day interview with Cracking the Vault podcast. While ostensibly an interview about the Free Comic Book Day event (first Saturday in May), this interview (which starts at about 37 minutes into the episode) with Cracking the Vault podcast (the official podcast of Empire’s Comics Vault, my local comic shop) host, Tony Asaro, actually went into some interesting and thoughtful directions for being only about fifteen minutes long. What I’ve noticed as I’ve gotten more open about talking about the comic with people is that the intersection between my day job and my comics is stronger than I thought. Tony’s a great interviewer and it was a blast to talk to him about comicking.